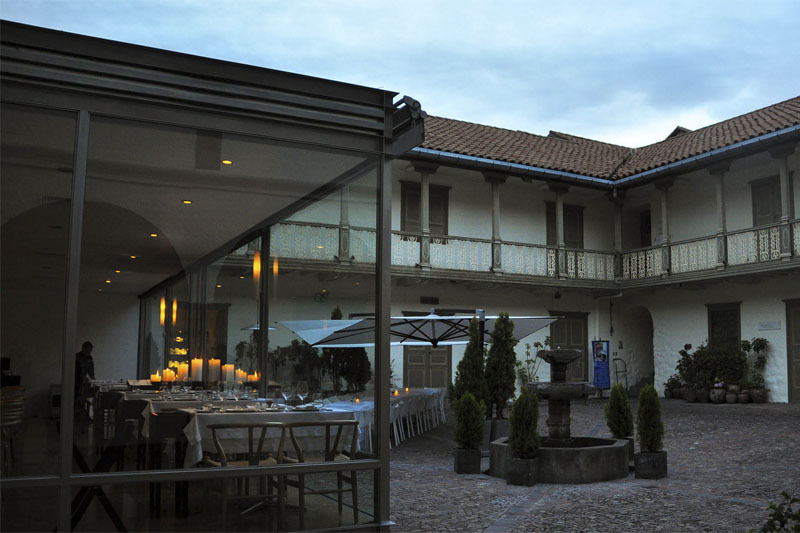 The Museum of Pre-Columbian Art was a ceremonial kancha (courtyard) in the time of the Incas, in 1580 it would become the mansion of the conqueror Alonso Diaz and in 1850 in that of Count Cabrera. The residence was restored to be the “Museum of Pre-Columbian Art or Prehispanic Art Museum” since June 2003. 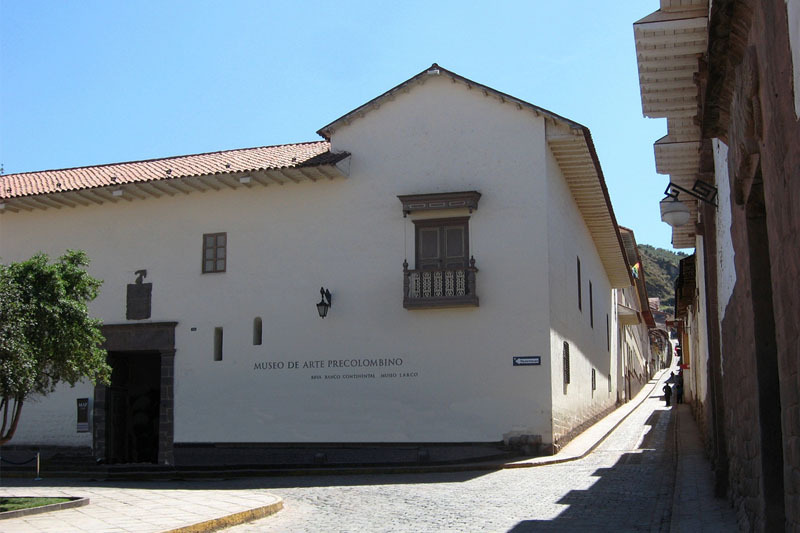 It is the only museum dedicated to recovering the art of ancient Peruvian cultures. The Museum of Pre-Columbian Art is the first Peruvian museum that shows the artistic creations of the people of the ancient Peruvian cultures. These established a line of art that was and is followed by many generations, motivated by expressions of the Andean culture. These ancient creations are a source of admiration for people who are fond of art and for artists who are looking for inspiration. There are many pieces of pre-Columbian Peruvian art in ethnographic museums around the world, which should be in the Museum of Pre-Columbian Art in Cusco. The collection of the Museum of Pre-Columbian Art consists of 450 master works of art, which were made between 1250 BC and 1532 AD and were selected from 45,000 objects found in the Larco Museum’s warehouses in Lima; the selection was made by the famous painter Fernando de Szyszlo and the prestigious art historian Cecilia Bákula. 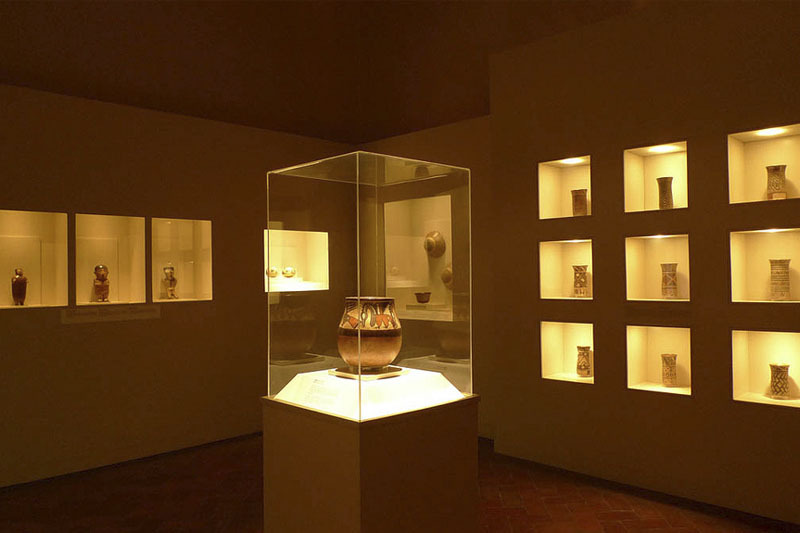 The exhibition uses texts in Spanish, English and French to show the artistic context of the collection arranged in 11 rooms, designed with the highest and most modern museography standards, to allow you to fully enjoy the art of pre-Columbian Peruvian cultures. It shows the works of art of different cultures that were located from the coast of Peru, to the western side of the Andes Mountain range. Among these can be found artistic expressions of the Salinar, Cupisnique, Viru, Vicus and Paracas cultures in their formation phase, where there is a great advance in ceramics, there are naturalistic and symbolic expressions; the painting and the sculpture would develop later, at the time. There are naturalistic and symbolic representations, many of these works were enriched with beautiful decorations, where the artist Cupisnique reached a high level. The technique of negative painting must have been the result of experimentation and failed attempts, which reached its greatest advance in the immediate moment before the highest cultural development. “H.Stern jewelers” reproduces some of the best pieces of pre-Columbian art, in 18 carat gold, precious stones and native materials. This in an effort to preserve the spirit of the cultures that gave rise to the greatest empire of the Western Hemisphere, Tahuantinsuyo. A civilization that could make places as amazing as the Inca city of Machu Picchu. Cusco is home to some of the best Alpaca clothing stores in the world and Alpaca 111 is one of them, coats, sweaters and all kinds of garments and textiles made from the best alpaca and vicuna wool fibers produced in Peru. After touring the Pre-Columbian Museum of Art, enjoy Map Café and coffee in all its varieties and presentations, and good food. mapcafe@cuscorestaurants.com. This museum is not included in the Tourist Ticket of Cusco; if you want more information about this museum or about any activity in Cusco, including the Inca city of Machu Picchu, please contact us at info@boletomachupicchu.com.